I love this a lot! Great idea, looking forward to seeing these come "alive"!!! LOVE. I may be the only but i also love the more shoe like lace up ones. It's a great idea. 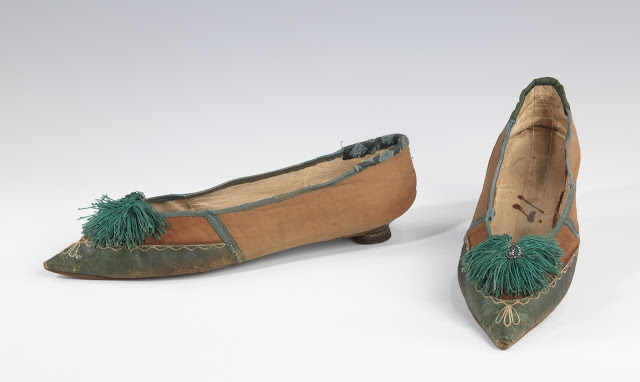 I hadn't known, until now, that women wore "two-toned" shoes such as these during the Regency. Ooh, LOVE! They look like they could have a great many possibilities. Lovely! I just have a quick question. How many petticoats do you recommend for a late 18th century dress? Thanks! An underpetticoat (short, goes under stays), then the underpinning (bum roll, hoops, etc). then one other under petticoat, then the top/outer petticoat. YES! I had no idea these existed until now, and now I need them. I love the first picture - colours, tassels, miniature heel ....all gorgeous. Yum! Especially the ones with the ribbons. Love these. I particularly admire the ones with ties across the foot. I am swooning over these shoes! 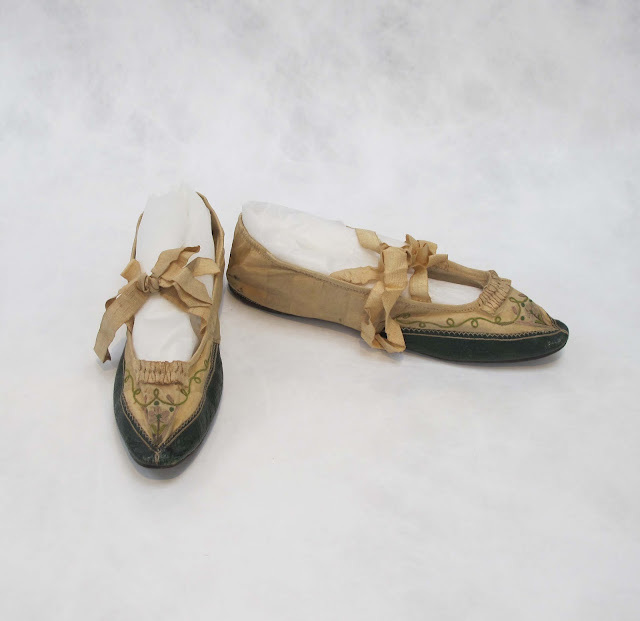 Regency is my favorite clothing period, perfect for ladies who don't have a slim waist and the little flat shoes are so easy to wear. How did your pop-shop do? I hope you made a gazillion dollars! Love this idea! 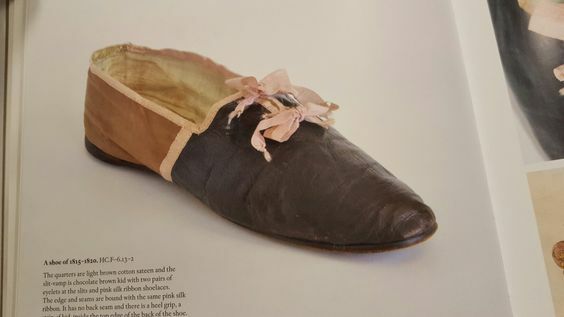 It's quite a striking look, and I like how many of them have a little pompom type thing or bows on the toe of the shoe. Love all of them. They are so cute.